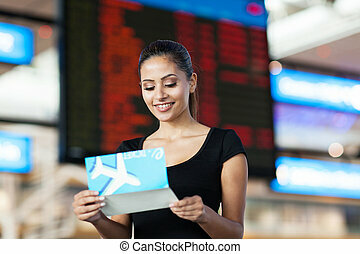 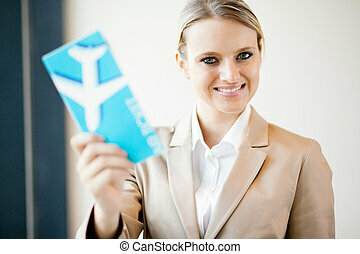 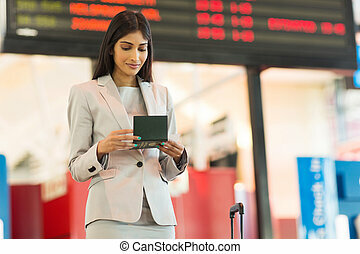 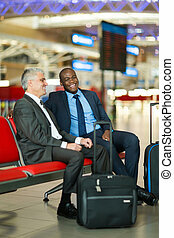 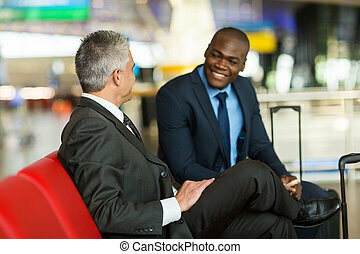 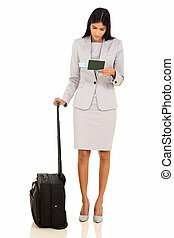 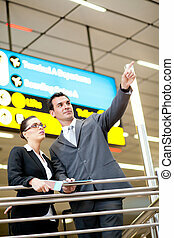 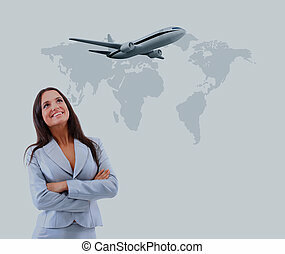 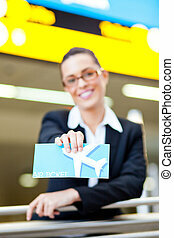 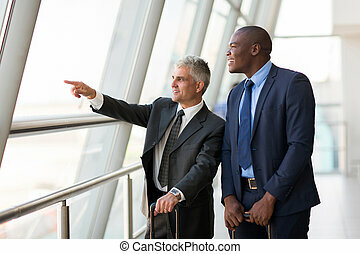 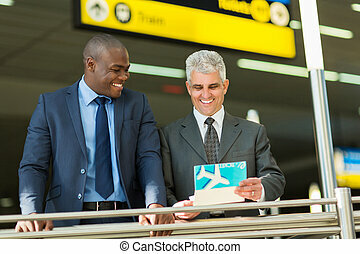 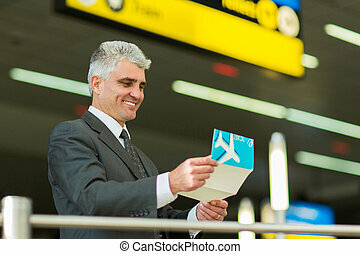 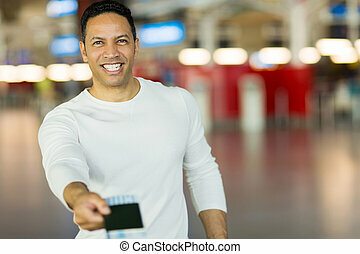 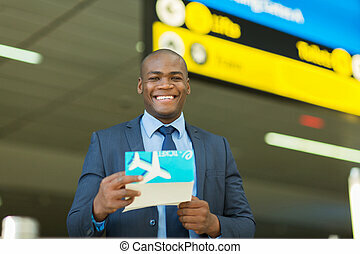 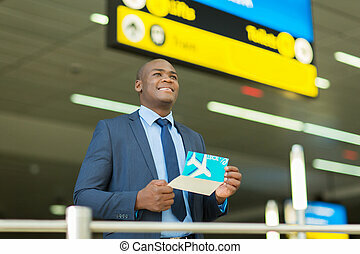 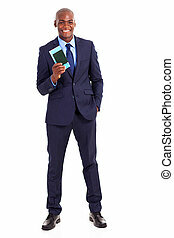 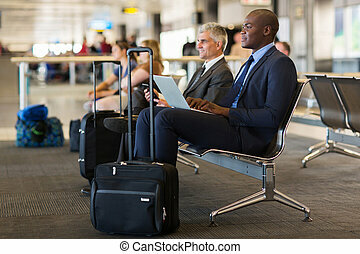 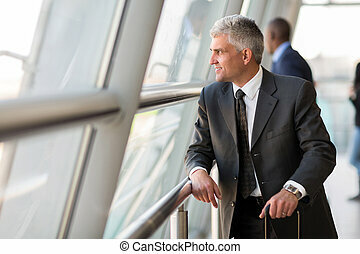 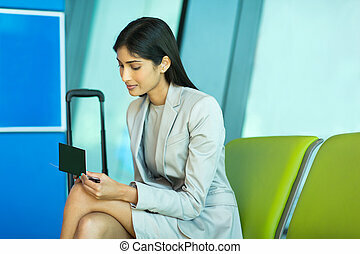 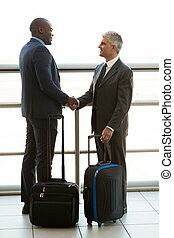 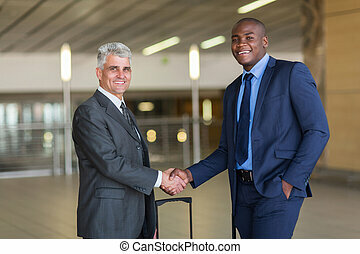 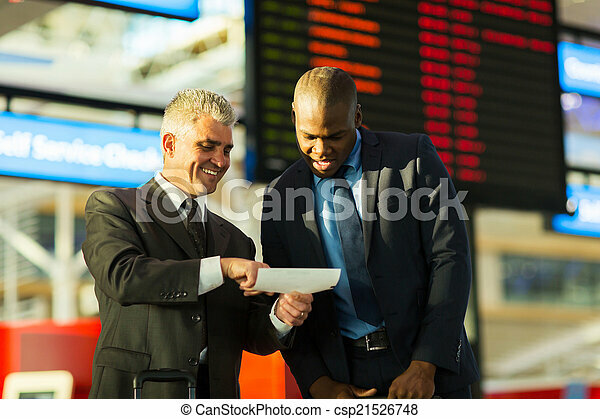 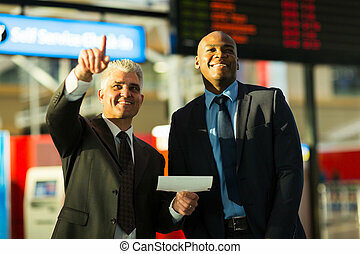 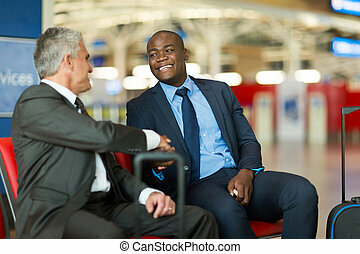 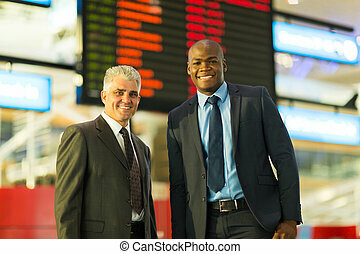 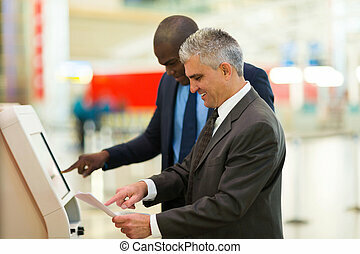 Happy business travellers looking at air ticket in airport. 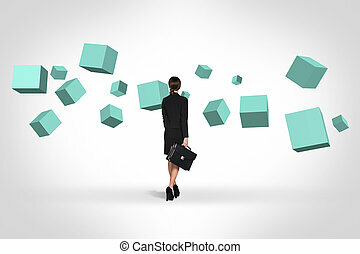 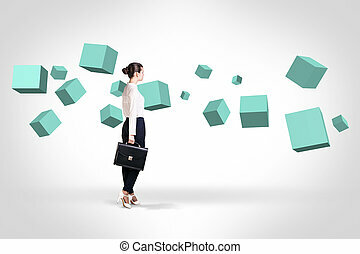 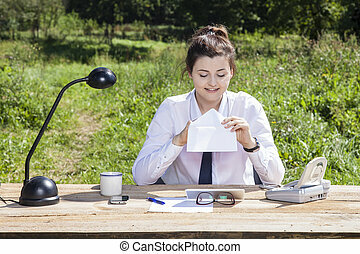 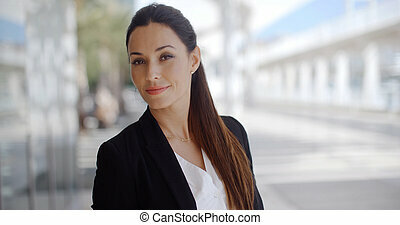 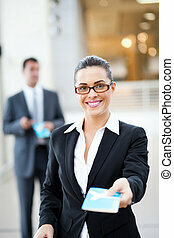 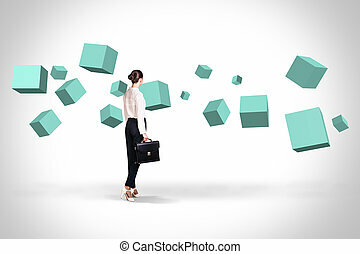 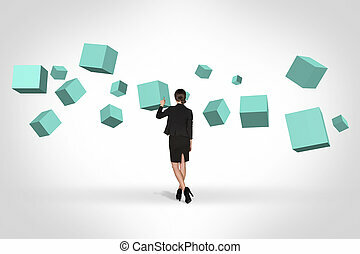 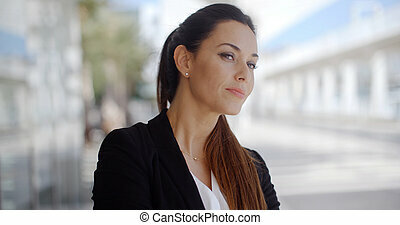 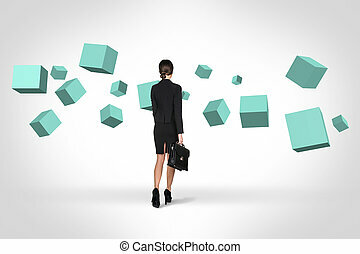 Business woman looking at turquoise cubes suspended in the air. 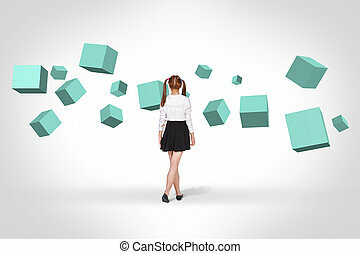 Abstract isolated on white.